From our friends.....thank you for being our guests. My name is Pete and I am a puggle. I started going to The Big Hound Playground December 2011. You can imagine how scarey it is when you are only 11 months old and getting dropped off at 'daycare'. Right from day one I had a blast. Now I get dropped off every Wednesday at 6:30am and rock the house until 5:30pm. Rumor has it I have a lot of energy but when my dad picks me up I am worn-out, tired and ready for bed. I usually sleep all the next day and the day after to catch up! I like to jump the gate at Big Hound but Allison is very patient and is working with me on my manners. She has also given my family some training techniques that they can use at home. I also have a new harness which Allison ordered for me and it has improved my walks tremendously. My family feels comfortable when they drop me off at The Big Hound because they know I am in a safe, loving environment. Thanks Big Hound..... You make Wednesdays Rock!!! When your dog whines with excitement and paces back and forth in the back seat whenever you drive past "The Big Hound Playground"
you know something good is happening inside. Only one other store elicits this kind of a response and they give her a donut ball with my coffee. My mixed breed rescue dog (Lab/Border Collie) .... sometimes referred to as a Tibetan Yak Dog.... is a ball of energy and on days when I am in meetings that extend into the evening The Big Hound Playground is a lifesaver. She gets plenty of play time with her doggy friends. She is well supervised and kindly handled. When they groom and bath her she definitely looks better coming out than going in. There are no bad hair days for her! When I pick her up she is happy; she is tired ; she is eager to go back. What more could a dog owner want? 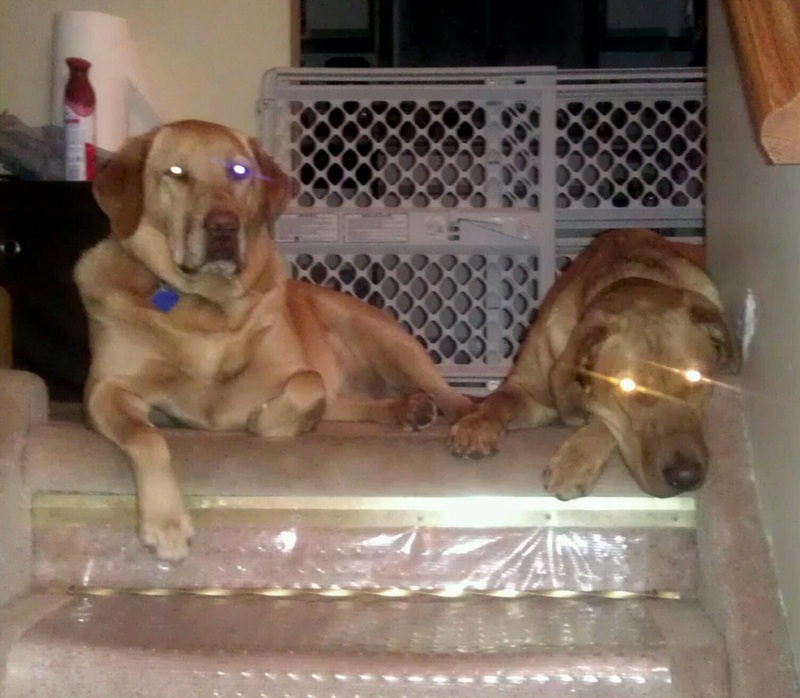 Crystal and April are always waiting at the top of the stairs with longing looks to to go The Big Hound Playground. It just takes the mention of Big Hound and they are out the door. We love Doggy Daycare! Having a rambunctious 15 month old puppy, the existence of Big Hound Playground has been our saving grace. Being able to pick Mulligan up at the end of a work day, barely having enough energy left to eat his dinner and crashing for the night has been a blessing for us and allows us to retain our sanity. Allison and her staff really care about the dogs, we have been impressed with the basic obedience skills Mulligan has developed while in their care. Mulligan's socialization skills have also vastly improved with the regular exposure to numerous playmates which has made it much easier when we meet other dogs during our walks. Mulligan loves The Big Hound Playground because he gets to play all day with other dogs but also has the human contact that he so desperately craves. He knows immediately in the morning whether he is going to daycare or in his dog run, the smile on his face when he realizes he is going to Big Hound. The Big Hound is worth every penny of the reasonable cost. Thanks Big Hound Playground! Hello everyone.... I'm Bailey (a long-legged Weimaraner)..
Let me tell you my story..
Up until my owner got on working shift, I had to stay in the closed corridors of a house ALL day, ALL by myself, with a visit from my Grandma twice a day for a pee break, the occasional run and a treat. The hours by myself would allow me to sleep and dream of playing with other doggies all day and food of course. One day as I had my head out the window of my truck and as the wind was blowing in my face and the smells tempting my nose I noticed 'The Big Hound Playground' sign I barked and squirmed in my seat, but my owner didn't pay attention... She just patted me on the head and said "sit down Bailey"... I dreamed of the day I could play with other dogs all day long.... Weeks passed by and finally one day , as I was circling around my owner hoping to go out and play, my ears perked up as I overheard her comment to Grandma about 'The Big Hound Playground' and that she wouldn't have to stop by Monday as I was going there.... YIPPY.... My owner said "the place was clean and tidy and there was obedience training too and the staff was welcoming and very friendly.... I could hardly wait for the weekend to end. Beep Beep the alarm went off.... I sprung out of bed, my ears were perked and I was poised for the day, it was Monday.... I had my leash in my mouth and my snacks were packed... I thought this is it, the TSN highlights are turned off and we're heading out the door and I was going too.... Right, Left, Left, lights green , Left and Right and there it was "Big Hound Playground" My first day!!!!!!!!!! What an exciting day, I made new friends, played with lots of toys, and I even had a little manicure, I was in doggie heaven... Now home and exhausted. I can't wait for tomorrow. We don't have to worry about Apollo at all, he has lots of love here. He can't wait to get in to play! I am writing this letter to let you know how much we appreciate The Big Hound Playground and Doggy Daycare. We can see that you are all very caring about animals and that is so important! Stanley enjoys going to the daycare so much. You have taken into account his size, his personality and his lifestyle needs. You give him individual attention and he is safe at all times. I absolutely love taking Stanley to your daycare, whenever the needs arises or even just to get some chores done around the house without a big dog getting underfoot. I know that he is getting exercise, interacting with other dogs, and having fun. And I know you never stop training your canine visitors whatever the reason for their visit! We are so proud to have you in our community and take every opportunity to let people know how wonderful your canine services are. You are more than just people who take care of our dog; we like to think of you as our extended canine family. Thanks so much!!! My husky's love coming to The Big Hound Playground , because they get to play and socialize with a stable pack where they can let loose and have some fun! I love BHPG because of the flexibility they have. I have no minimal weekly or monthly visit requirement. I can drop off my fur -kids as I need to use the services, which works amazing with my crazy all over the place schedule. I feel safe leaving my fur-kids because they insist on meeting all new dogs and put them through a screening process to ensure that all dogs are stable and get along with the core members of the pack, and are all up to date on all their vaccinations. Not only that but the staff keeps a close eye on everyone during the visit's and will give you updates on your fur-kids when you pick them up. I really praise this! The updates let me know if there is anything I need to keep an eye on in my own home or at the dog park. Let's face it our fur-kids sometimes show a different side to them when we are not around. Bronte's Top 5 reasons she loves BHPG! 5. Cleanliness - BHPG is so clean and well taken care of it's wonderful dropping her off and picking up knowing she'll be a clean puppy! A Pawsitive review for you. Trevor our family dog loves to come to day-camp, that's what we call the Big Hound Playground. He comes to see his friend dogs and the wonderful staff. Trevor always has a great day at camp. He never hesitates to run in and sometimes doesn't want to leave. I like to bring Trevor on those days when I know I will be working all day and tired in the evening. If it wasn't for The Big Hound Playground Trevor would be home alone, lonely and bored, and I would come home guilty and tired. Camp allows both of us a satisfying day. Thank you Allison and all of the staff there for treating Trevor kindly and with love. Miss Scruffy loves her time at The Big Hound Playground and starts to cry whenever we drive by and sleeps like a happy dog when I bring her home...... thanks to you Allison and your great staff for giving Scruff a happy and safe place to hang out with all her doggie friends. Big Hound Playground is the reason I have my Molly - without Allison and her staff - I would be unable to keep my girl. Shortly after getting Molly, I was transferred onto 10 hour days then onto 12 hour shift work - coming home tired and weary to deal with an energetic, bored puppy was too much. When Allison opened her Daycare, Molly was signed up - she loved it- it satisfied her high energy needs, her social nature and she would fall asleep in the car on the drive home!!! Molly is like a Walmart greeter - happy to see anybody and everybody - Daycare is great for her social needs - I have to laugh how she seems to enjoy playing with the tiniest dogs the most and how she likes to show puppies all around and introduce them to the gang. The social skills and training she has received makes her a joy and delight walk. She still tries to be cheeky with me but she knows better - just like a kid trying to bend the rules. I only have to say Allison and Molly perks her ears up, tilts her head and runs to pick up her leash - I'm ready to go!!!!! She knows the drive there and gets so excited when we turn the corner to daycare. It is a joy and delight to tell everybody with a dog about daycare whether for a few hours or everyday of the week - it's priceless to have such a happy Molly!!!!!!!!!!!!!!! The Big Hound Playground is more than just a service for dogs and owners. It's a place Bailey looks forward to going to see all her friends. It's a warm, inviting environment that promotes activity, health, training and grooming to a member of my family. The Big Hound Playground has been a great experience for Bailey and I. Our dog Fred has separation anxiety and he does not like to be separated from us - except when he goes to The Big Hound Playground. It wasn't always a happy occasion to go there, but now he loves to go. I think that when he first came to The BHPG Allison and staff had to work at keeping him distracted so he would not be totally stressed about being separated from us. Now he will even whine in anticipation of a visit when we drive by on Goderich St. It is quite apparent that Allison and her staff love dogs. Allison has a quiet and calm demeanor , and so much patience. Fred does get excited and jumps up and down when we come to pick him up, but Allison takes the time to speak to him calmly and get him settled before she opens the gate. She will also comment on what kind of day Fred had. My only wish is that Allison also ran a boarding kennel!!!! My fiance and I really like the Big Hound Playground because it gives our dog a chance to play with other dogs during the day while we're at work. It's so important for dogs to socialize and this is such a great place for the dogs to "let loose" and have fun! I love the special touches they have, like individual 'lockers' for each dog and their names on it! So cute! They treat the dogs so well here and, as a result, the dogs love to be there!